Michele Scarponi’s recent death whist on a pre-Giro training ride brought home how vulnerable we cyclists are. Photos the Astana rider posted on Twitter of him playing with his children were heartbreaking. Thankfully such tragedies are uncommon, though near misses are not. This week three-time Tour de France champion Chris Froome was apparently rammed while out training and though he was uninjured, his bike was totalled. Last weekend a video emerged showing a rider on the A272 in Sussex being sideswiped by a van. The vehicle was clearly identified as one belonging to a company who later released a statement saying the driver’s employment had been terminated. The cyclist escaped injury only by a combination of skill and luck. Such incidents are a frightening daily occurrence and we all have stories to tell. Nearly three years ago, after a day working in my former job as a police sergeant, I was out for one of those near perfect rides. The first 15 miles were almost ideal; warmth and a light tailwind creating one of those blasts where you feel you’re flying. 10 miles from home, where a barbecue and glass of wine were waiting, I became aware of a car close behind me. 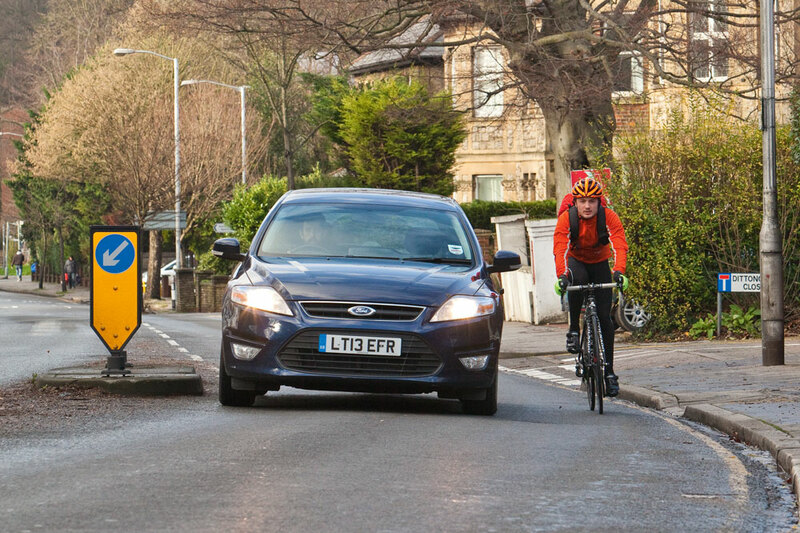 Travelling a little below the 30mph speed limit, approaching a junction with oncoming traffic, and a very poor road surface near the kerb, I pulled out, adopting the primary position to prevent the driver making a potentially hazardous close pass. He sounded his horn, and other than asking “what?” as I turned left at the junction, I ignored him, even when he shouted something I suspect his mum wouldn’t have been proud of. The rider in Sussex was doing what I had done: dominating his lane to prevent the van overtaking dangerously. There was after all, oncoming traffic and double, solid white lines, the only way past was to endanger the rider. If someone’s driving falls “far below the standard which would be expected of a competent and careful driver, and it would be obvious to a competent and careful driver that driving in that way would be dangerous,” he commits an offence of dangerous driving. But there’s more. “Any act which intentionally or recklessly causes another person to apprehend immediate and unlawful personal violence” is an assault. French police are investigating Froome’s incident and Sussex Police confirmed to Cycling Weekly they are investigating the incident. However, my experience in June 2014 proves things don’t always turn out as they should. In my case the driver chased me, sounding his horn until I stopped. I told him I was a police officer, but he shouted, jabbing his finger threateningly at me. He refused to let me explain my positioning and swore at me. Now, I’m a grown up and apparently police officers are expected to happily accept personal insults, but the driver started on a cyclist and cyclists should not have to accept insults, threats or dangerous actions for riding responsibly. Had he used the same language to anyone else in another circumstance, police action would be a given. I placed myself on duty and arrested him. He was not prosecuted for his unprovoked abuse, but I was subject to a nine month investigation. Despite a 50 minute interview which resembled a scene from Life On Mars, and some evidence being ignored, no wrongdoing was found. So will the Sussex van driver be charged? The video evidence seems incontrovertible and media interest could help, but should he admit careless driving the Crown Prosecution Service may decide an expensive trial for dangerous driving is not in the public interest. Someone may decide the loss of the driver’s livelihood coupled with a prosecution for a driving offence is sufficient, and any assault could be ignored. In 26 years I never detected a policy in the justice system to downplay offences against cyclists, but decisions are made by individuals, and if the person investigating is incompetent or doesn’t like cyclists, the driver may not get his just deserts.